Louisiana teams to compete in South Walton "Border Wars"
When the Louisiana high school students of my generation drove to Destin it was usually in April. Caravans of kids cruised down Highway 98 to the popular condominiums or the $25-a-day flea bag motels with proximity to the beaches. But that was before Destin really started growing. That was when USA Wrestling was the Amateur Athletic Union. That was before cable TV! That is not the case for the wrestling teams from Brusly, East Ascension and St. Paul's travelling to Destin in mid-November. R&R is not the goal of this trip. 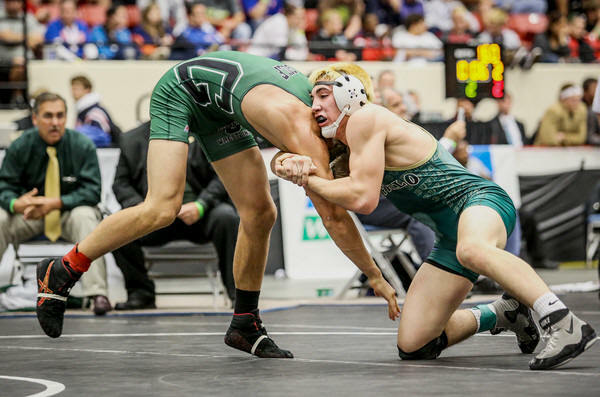 Twenty-one wrestling teams, with four state champions and four preseason #1-ranked wrestlers, will converge on the Florida Panhandle for the inaugural South Walton “Border Wars” Invitational Tournament. The tournament will be held on Friday, November 15th and Saturday, November 16th at South Walton High School [GET MAP] in Destin. Friday’s matches are scheduled to consist of four pools of five wrestlers each, with the top two pool placers qualifying for a bracketed championship bracket on Saturday. The remaining wrestlers will participate in another round of pool matches. Regardless of their placements in Friday’s pools, each wrestler should get at least six matches during the weekend. The Louisiana teams making the trip east are Brusly, East Ascension and St. Paul’s. Coach Jimmy Bible's Brusly Panthers will bring two Louisiana Division III state champions. Wyatt Lejeune won the 120 lbs. championship in 2013. Trevor Schermer won the 132 lbs. title last year, as well as state championships in 2012 and 2011. Schermer is attempting to match his brother Austin’s record of four consecutive Division III championships. The Panthers also have last season’s state runner-up and the 2012 state champion, Baret Sanchez. 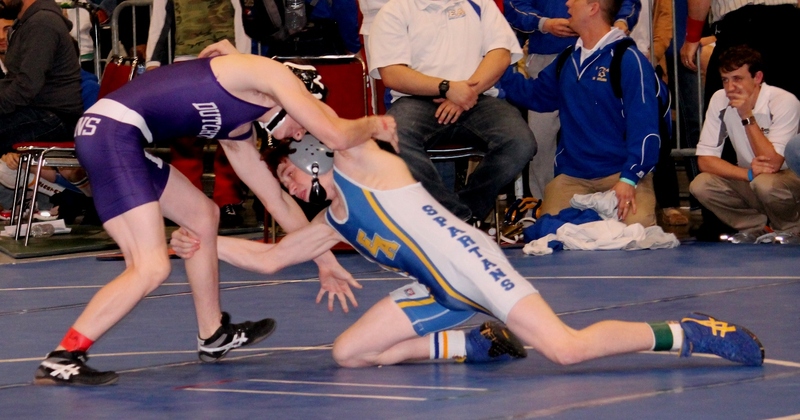 Pat Mahoney's East Ascension Spartans are led by 2013 4th-place finishers Alex Betteridge at 106 lbs. and, on the other end of the spectrum, Conor Karwath at 285 lbs. Sixth-place state placer, senior DeQuan Jackson, will also represent the Spartans. Assistant coaches Michael Bernard, Graham Karwath will be joined this season by New York's own Jim Ballantyne and his plethora of experience. St. Paul’s returns Tanner Leblanc, who placed third in 2013, as well as 4th-place finishers Chris Meraux and Collin Kersker, and 6th-place finisher Zachary Clay. Coach Craig Ketelsen's Wolves placed fourth in Division I in 2013. 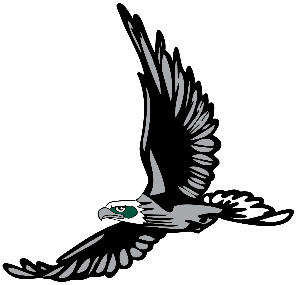 Twenty of the teams are from Florida: South Walton, Arnold, Gulf Breeze, Pace, Clay, Ft. Walton Beach, Rutherford, Bay, Choctawhatchee, Wewahitchka, Marianna, Lincoln, Florida High, Chiles, Columbia, the Villages, Niceville and Bozemann. And the Florida teams are not without their state champions. Lincoln’s Tristan Sommer won the Class 2A state championship at 152 lbs. 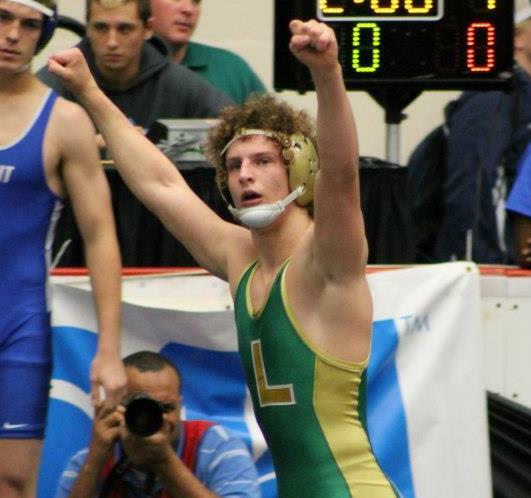 in 2013, and Colton Jackson of The Villages surprised a lot of people by capturing the Class 1A title at 160 lbs. Jackson is ranked 1st among 1A contenders at 170 lbs. Sommer is ranked #1 in Class 2A this season at 152 lbs. Thirteen Florida competitors are ranked in the top four of Florida classifications 1A, 2A and 3A. 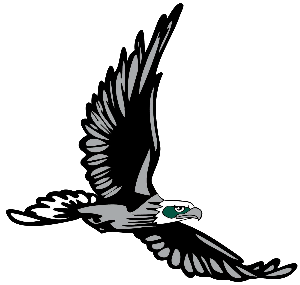 South Walton participated in the Trygg Memorial tournament at Grace King in 2011 and 2012, placing 4th and 8th respectively. 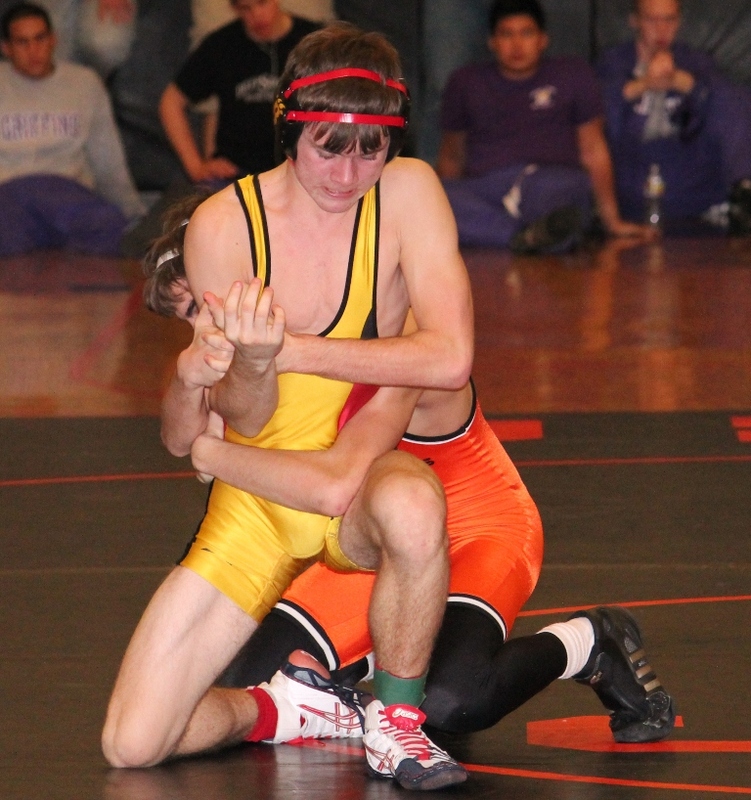 As a sophomore, Cody Pickren placed 2nd at 126 lbs. Cody is ranked 7th in Florida's 1A class at 145 lbs. His younger brother William is ranked 6th at 106 lbs. Another wrestler from Florida to take note of is Columbia's Kaleb Warner, ranked 5th in 2A at 132 lbs., who was a Disney All-American over the summer. [NOTE: Florida has a population approaching 20,000,000 (Louisiana has approximately 4,500,000). As such, schools in Florida vary greatly in size, with the largest classification containing more “Ayes” than found in an Arthur Fonzerelli soliloquy. 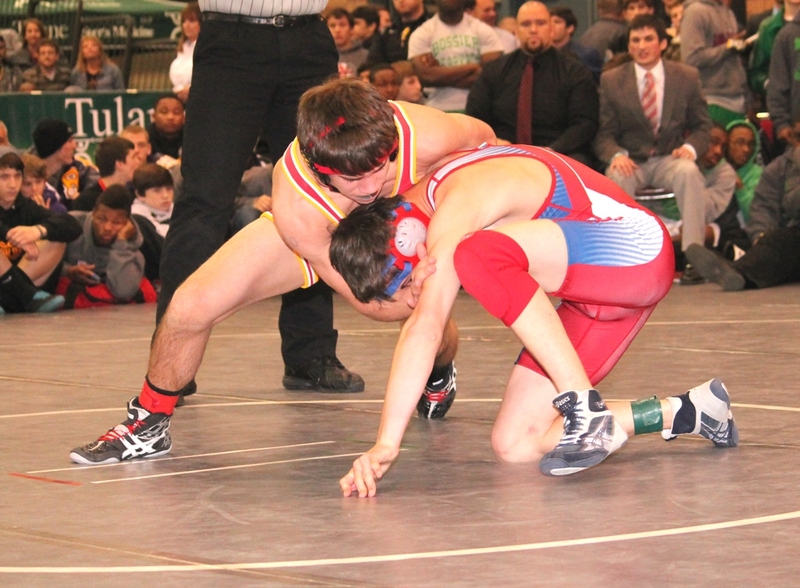 Like Louisiana, the schools are divided into three divisions for the state wrestling championships:, 1A, 2A and 3A. The school size classifications in Florida are in the reverse order of those in Louisiana. Class 3A consists of the larger schools (LA Division 1) while class 1A is comprised of school’s with the smallest enrolments (LA Division 3). Louisiana rankings are based on weight classes only and do not reflect LHSAA state championship divisions. Friday Weigh-in at noon. * Wrestling starts at 2 p.m.